Kesari has taken a slow start in morning shows of Monday. This is on expected lines. Film has although started slowly can still have a good day by showing jump in later half of the day. Monday is extremely crucial to know film lifetime business and a good hold will be nice for the film. Kesari has opened to around 15% occupancy in morning today. Samples are from multiplexes only. For the same samples Friday opening was around 18-20%. However, Friday registered big jump from evening onward. Hope story is same for Monday. 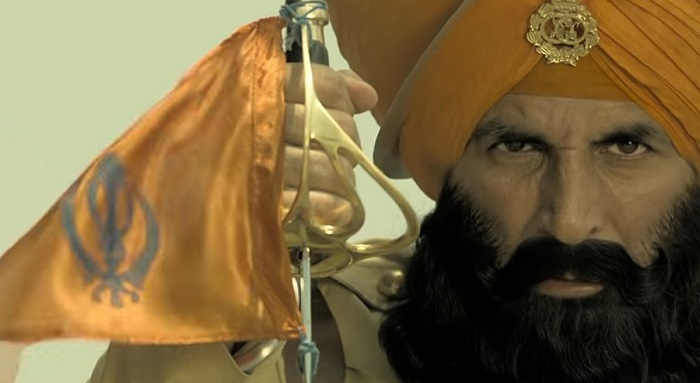 Kesari has collected an approx 77-78 crore nett in the extended first weekend. Film is on track to touch 100 crore nett mark in India. Now the real question is whether film can challenge 125 crore nett or 150 crore nett? By end of today we will have a bit of idea. Chutiya IPL hone k baad bhi movie itna kama rahi h tumhare star mein itna dum h to non holiday release kyun nahi karte. Humesha holiday hi chahiye. Non holiday pe aukat pata Chal gyi hogi ya yaad dilaun. Akki hi only star h Jo non holiday 100 crore plus deta h. Sale bhookte raho. Akki hit h or rahega.or Han ek baat or Ab ye prove ho chuka h akki fans k alawa ek bhi Muslim akki Ki movie nahi dekhta Kyuki unhe pata h agar hum bhi gye to sare record toot jayenge. Film is underperforming. It should have collected atleast 85 crores in extended weekend if not 90 crores.